So You Wanna Be a Mobile Superhero? 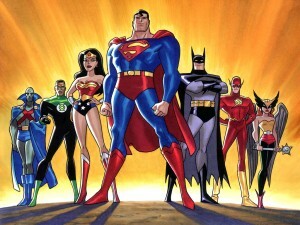 Ok, so there was a lot of talk about the Justice League at Innogive 2012. I’m more of an Avengers fan, myself, but maybe that’s just because I’ve always liked Stark’s toys. Kayta Anderson, shared these 5 forgotten questions we need to answer before you can be we can become superheroes in mobile fundraising! 1) Who is it for anyway? Know your audience. She says that when at least 5% of traffic to your website is from mobile browsers (you are using Google Analytics to track this, right?) However, there was some discussion that if you don’t have a mobile site, you won’t get mobile traffic. 2) What will it do for them? We download apps to make our lives easier. Unless the app provides a something sought after by your audience, they won’t download it. Don’t build an app for apps sake. Provide value to drive behavior. 3) What do you have? Time, resources, money, staff. And not just staff to run it, but who in your organization will get behind the project? They have to be willing to take risks. 4) Where does it fit in? Mobile is another channel in your multichannel communications strategy. You need to align your messages and strategy across all your channels. 5) What will it do for you? ROI vs ROE. Traditionally, managers focus on return on investment. Instead focus on return on engagement, which measures things like new supporters, brand exposure, added convenience for supporters, improved advocacy results. This entry was posted in Session Wraps and tagged fundraising, marketing, mobile, nonprofit management, ntc, superhero, tech on April 6, 2012 by stacydyer. Will Your Nonprofit be Ready for the Future of Payments?